U.S. Senator Elizabeth Warren wants to restrict brokers from winning vacations, luxury cars and golf outings at the expense of retirees. (Bloomberg) — U.S. Senator Elizabeth Warren wants to restrict brokers from winning vacations, luxury cars and golf outings at the expense of retirees. 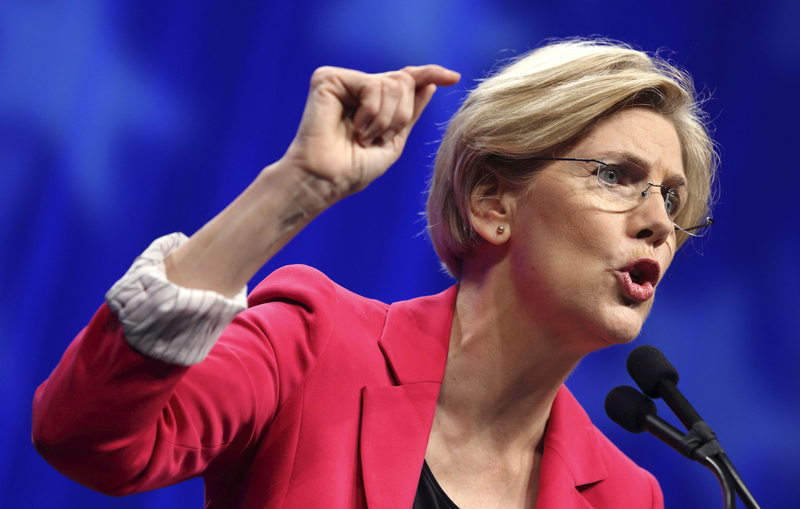 Warren, a Massachusetts Democrat and prominent Wall Street critic, released a report Tuesday criticizing the largest annuity providers for “kickbacks” or perks they provide for encouraging brokers to sell investments that may be more expensive. The report is based on responses she received from the 15 largest annuity providers such as Prudential Plc’s Jackson National Life after requesting information from them in April. Warren released the study to pressure the Labor Department to finalize its rule that would impose stricter standards on brokers who handle retirement accounts and force them to put their clients’ best interest first, a requirement known as a fiduciary duty. Warren said research shows the labor rule on broker conflicts would help prevent consumers from losing about $17 billion a year. The Warren report comes as the House of Representatives debates legislation from Republican Ann Wagner of Missouri that would prohibit the Labor Department from finalizing its fiduciary rule until the Securities and Exchange Commission acts on the issue. SEC Chair Mary Jo White said in March that the agency would craft its own fiduciary standard rule though it has yet to reveal any proposal. Warren sent the letters to find whether annuity providers incentivize brokers to put personal interests ahead of clients’ retirement goals. Thirteen of the 15 companies said they offered “kickbacks” directly to agents or indirectly through third-party gift payments, according to Warren. Warren didn’t release copies of the letters from the 15 companies, which sold $168 billion worth ofannuities in 2014, representing 71 percent of total industry sales. Some of the other largest annuity providers include Lincoln Financial Group, Allianz Life and New York Life Insurance Co.
Trip destinations offered by the providers included South Africa, Bahamas, San Francisco and Walt Disney World, the report showed. Golf outings, iPads and “NFL-style Super Bowl ring” were also among the rewards. President Barack Obama endorsed the Labor Department’s plan in February, putting new momentum behind the effort to revise rules that affect tens of millions of baby boomers nearing retirement age and workers who don’t have pension plans. Brokers currently face a less-stringent suitability standard that requires investments just fit a clients’ needs and risk tolerance. Financial-industry lobbyists have argued that costlier regulations could take options away for smaller investors. Annuities – typically sold by insurance companies — are investments that guarantee specific returns over time. People tend to buy them to ensure they have a steady source of income after they retire.